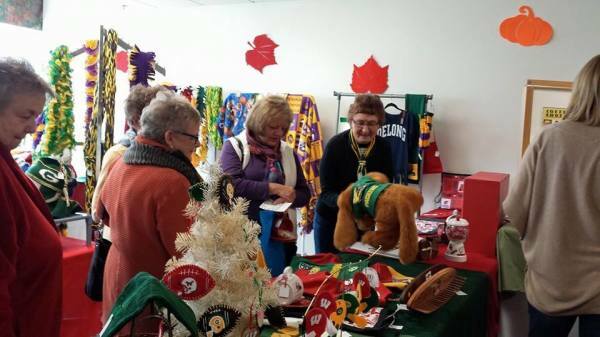 The annual Saving Grace Bazaar is by far the BIGGEST event of the year for the Bazaar Ladies. The Saving Grace Bazaar takes place on the first Saturday in November each year from 9 a.m. to 2 p.m. All contributions to the bazaar are handmade/homemade by members of the church. The bazaar features the following booths: Bakery, Cherished Treasures, Christmas, Knitting, Lefse, Sewing, Silent Auction, Sports, This & That and Wood. The Men of Saving Grace serve fresh homemade caramel rolls and a lunch. The caramel rolls and our famous lefse bring large crowds so we encourage shoppers to come early. This is a Norwegian tradition that has been carried on for years by the Bazaar Ladies. In fact each year they increase the production of lefse, only to be sold out in the first hour of the bazaar. For information watch the video below. The Saving Grace Pie and Ice Cream social is held on the last Thursday in June. A barbecue and hot dog plate are served, which includes ​ homemade pies and of course ICE CREAM. The event is open to the public. This year there was a drawing for a handmade king size quilt. Don't forget to watch for more information on this website. 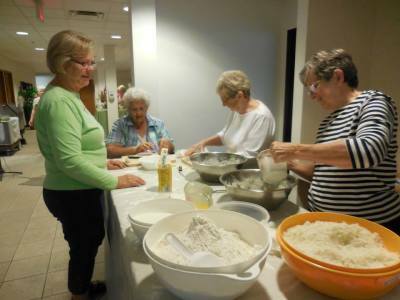 The Bazaar Ladies (Church basement ladies without a basement) cook and serve a homemade Lenten supper each year. The attire is granny aprons, hair nets or granny hats. No singing or dancing is done in the kitchen but there is lots of laughter. 10 large pkg red jello and 20 cups of boiling water. Stir together. 20 cups cold water. Stir again. This makes 10 church bowls of jello. When Supper is over and all of the dishes are washed, we all say UFF DA ! Once a year, the Saving Grace Bazaar Ladies schedule a retreat, with the purpose of devoting some concentrated, uninterrupted time to work on projects for our upcoming bazaar. 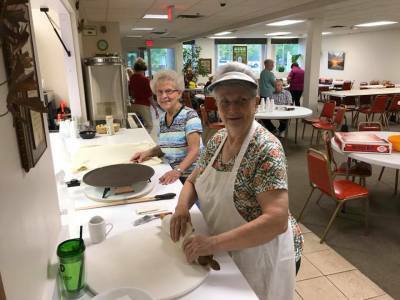 During the first week in June each year, we travel to Oak Forest Center, a Christian retreat center located in the middle of a state forest near Frederic, Wisconsin. While we accomplish a great deal in working on our projects, we are also able to create bonds of friendship and Christian fellowship with each other and enjoy God’s creation in this beautiful setting.